Mike Miller started with some personal challenges that might have held the average kid back from his dreams. In his case, the desire to be a professional musician was much stronger than the obstacles of a 40% hearing loss discovered at birth, as well as being diagnosed with Tourette Syndrome at just 5 years of age. 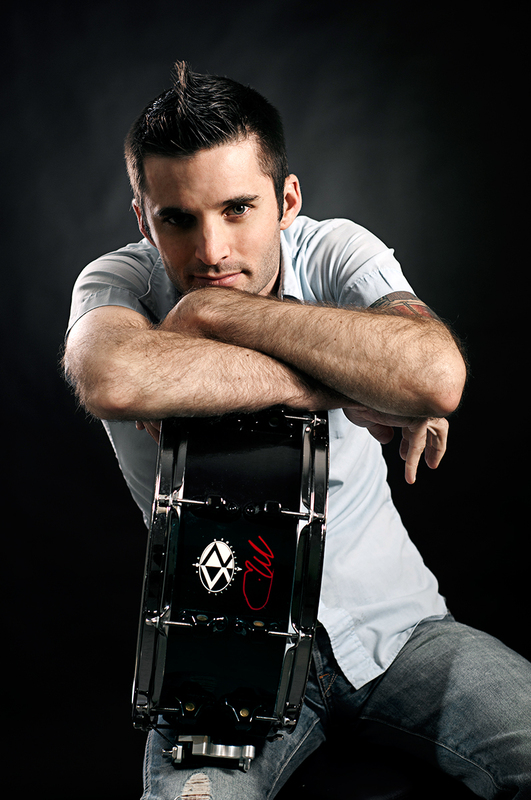 His story and talents gained the recognition of Los Cabos Drumsticks who selected him for the cover of Backbeat. Mike Miller started out in life with some personal challenges that might have held the average kid back from his dreams. In his case, the desire to be a professional musician was much stronger than the obstacle of a 40% hearing loss discovered at birth, after he was diagnosed with Tourette Syndrome at just 5 years of age. Miller persevered and emerged from his treatments with what some may feel is an unfair advantage with his near superhuman hearing. His story and talents gained recognition from the team at Los Cabos Drumsticks in New Brunswick, Canada who signed Miller as an endorsing artist. It was this month that he was selected to appear on the cover of the their magazine, Backbeat. Mike “The Moment” Miller was hooked on performing live from just 10 years of age, but he attended shows consistently with his family and friends while growing up in The San Francisco Bay Area. Although it was never easy, and after more than a half-dozen surgeries, Miller’s natural drive, abilities, religious faith, and his family’s encouragement put him on the road to success that evolved into his attending the prestigious Berklee College of Music. “I never wanted to give up so I went to where the music was happening. I lived everywhere from L.A. to New York and back to San Francisco to do it. 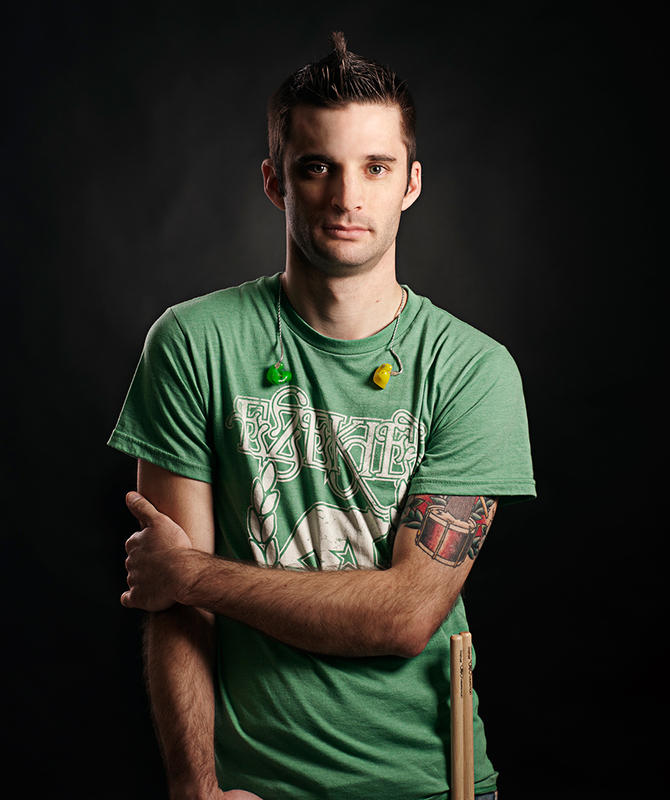 I was lucky enough to pick up tours with some great bands, too.” Touring with Interference, Everything Taken, Pammie Lowe, Take Down Tomorrow, Overturn, and as a session drummer, Miller’s work ethic keeps him busy. “It’s my focus and my passion to perform,” reports Miller, now 29 and with endorsement deals from Los Cabos Drumsticks, Soultone Cymbals, and Future Sonics Ear Monitors. "I really appreciate this opportunity to do something bigger with the team at Los Cabos." Sound quality is actually more important to him than most people as a musician who regained his lost hearing. His choices for gear are mainly specific to their audio signature and his Rocket Shells Carbon Fiber drum kit with specially chosen Evans Drumheads help him deliver his own sound. One thing beyond his abilities as a drummer, but that contributes to it, may surprise people in that, today, his hearing is actually better than most drummers in that his range is broader following his medical treatments. His hearing also benefits from his dedication to hearing protection and proper monitoring methods. For Miller, his extended hearing allows him to be very particular in choosing the tonal properties of all of his products for the stage and recording studio. With all that said, his skills as a drummer are remarkable – obstacles or not – and his signature sound makes him a great representative of any brand or band he chooses.